Sigmar Gabriel believes that Brussels should think about "closer cooperation" with Kyiv and Ankara. 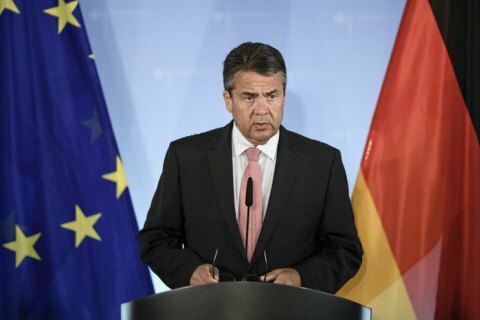 Germany's Foreign Minister Sigmar Gabriel proposed on Tuesday that the European Union's upcoming Brexit deal with the UK could serve as a template for relations with other non-EU states, namely Turkey and Ukraine. "If we can reach a smart agreement with the Great Britain that outlines its relations with Europe after Brexit, then that could serve as a model for other countries," Deutsche Welle quoted the minister as saying in an interview with Funke Mediengruppe. Berlin's top diplomat added that he could not see either Turkey or Ukraine joining the bloc anytime soon, and that the EU therefore "needs to consider the alternative forms of closer cooperation." Gabriel also suggested that such an approach by Brussels could lead to a "new, closer form of customs union" with Ankara. Even though the situation was in Turkey, Gabriel said, recent gestures by Ankara showed a willingness to improve relations with Brussels. That willingness was shared by Berlin, he added. "It is a good sign that several detained Germans have been released," the Social Democratic lawmaker said. Solovey: anti-graft agencies cost vast resources. Where's the impact?